We find quality assurance solutions for automated metalworking production processes. Our solutions are independent from the plant or laser manufacturer. This is important because our customers wish to obtain the best solution for their own application. doors, trunk lid, powertrain, airbag, etc. Endless tubes, standard tubes, tailored blanks, tailored tubes, coils, etc. Laser cladding, 3D printing, etc. Rail measurement, monitoring of working areas, position finding, etc. Depending on the requirement, the plasmo quality platform offers solutions for the individual requirements of your production process. 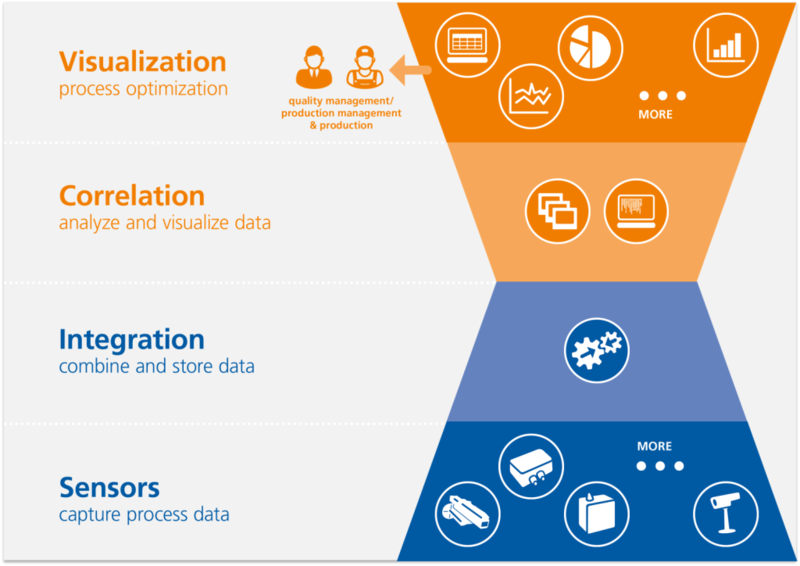 We develop, adapt and integrate this solution according to your requirements and objectives. plasmo offers innovative solutions for automated metalworking production processes. plasmo systems inspect the quality of vehicles, aircraft, ships, turbines, furnaces, household appliances, windows or steel structures to make these and many other products safer. Our versatile sensors test before the welding process (pre-weld), during the welding process (inline/online) or after completion of the welding process (post-weld) as well as offline. We work on the individual problems of our customers and find solutions. The plasmo Quality Suite comprises 3 levels. 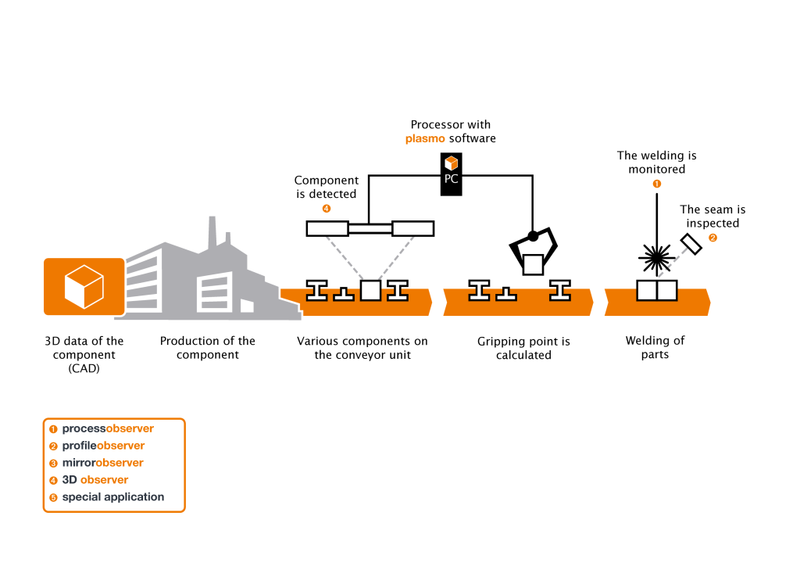 The visual presentation shows the process chain of coil manufacture and processing. From the delivery via diverse production steps through to the finished product. Examples of the application of plasmo solutions are also listed. 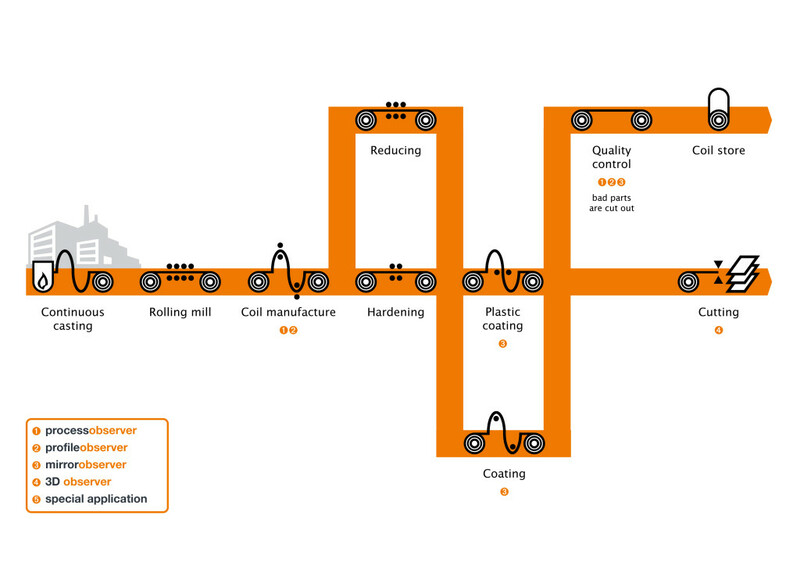 This graph illustrates the process chain in automated production on the example of the manufacture of a steel girder used for bridge construction. Based on the 3D CAD data of the respective, the freely selectable component and the position of this data is detected on the conveyor units following production (plasmo solution: 3Dobserver). Testing of the subsequent welding process can be done either during welding (plasmo solution: processobserver series) or after the completed process (plasmo solution: profileobserver series). 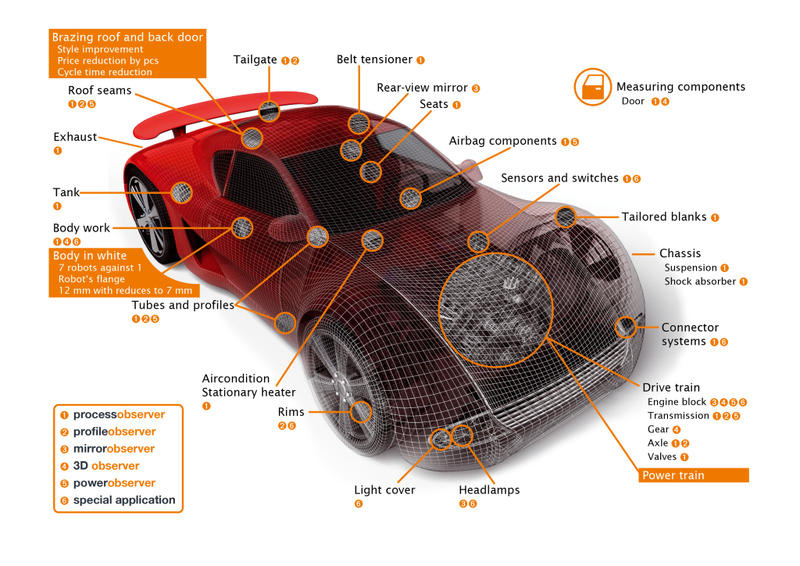 You can find an overview of our solutions and their possible applications on the vehicle here. The indicated numbers refer to the plasmo product that can be used for the corresponding application or solution.